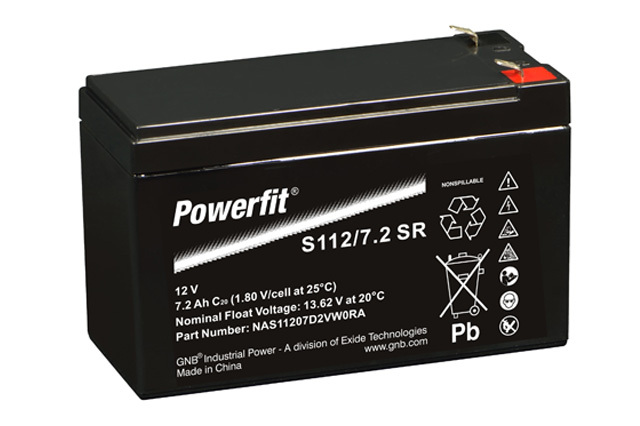 Introducing the Powerfit S112/7.2SR 12V 7.2 high performance lead acid battery from Exide GNB. 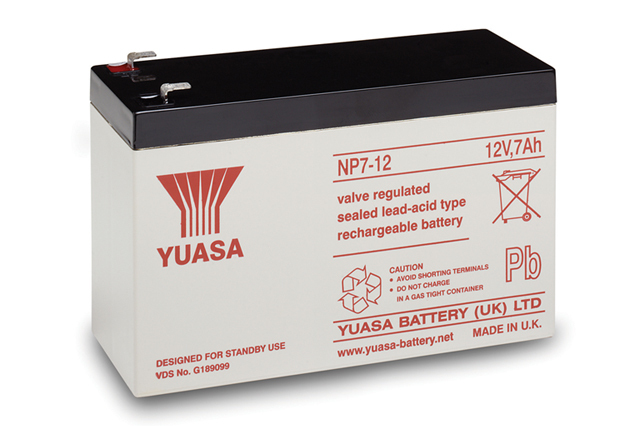 Build to confirm with a universal 12V 7Ah box size, the S112/7.2SR is equipped with 6.3mm wide ‘F2’ faston terminals which makes this battery particularly suitable to high current applications such as uninterruptible power supplies where the battery could be expected to provide a full discharge in as little as 5 minutes. The Exide Powerfit batteries have been designed in to meet with IEC l0896-21/22 standards, and offers a range of great benefits which include a non spillable fully sealed construction, strong rugged ABS plastic for maximum durability, and offers reliable AGM technology for proven long term performance. 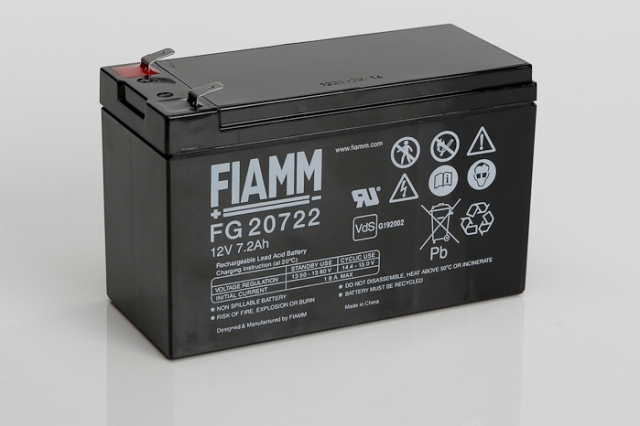 The S112/7.2SR is also a completely recyclable battery product. As the UK’s premium Exide GNB sales partner, Blue Box Batteries can offer the complete network power range which includes the new S100 battery series. Call Blue Box Batteries today for not only the best in assistance and advice but also the best possible prices for all major industrial lead acid battery brands. Can the S112/7.2SR be installed on its side. Yes, this battery can be installed on its side and will remain completely operational in this orientation. It should be noted however the manufacturer does not recommend using this battery upside down.